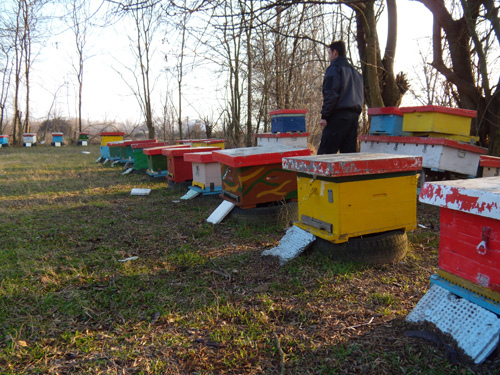 So we are here in Greece and had the opportunity to visit the bee yard of my brother-in-law. 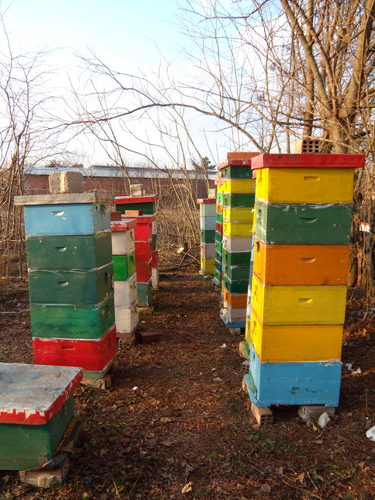 I snapped a few pictures so you can see what a Greek beehive looks like – they are very colorful. 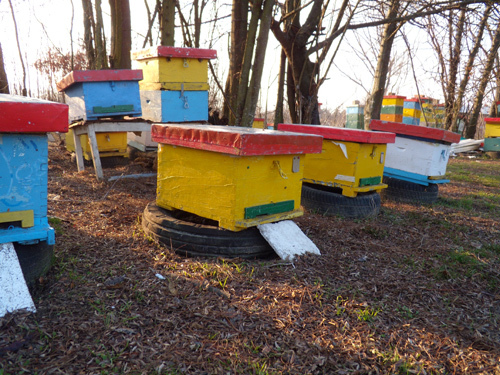 Beehive - They use old tires as a stand to raise them off the ground. 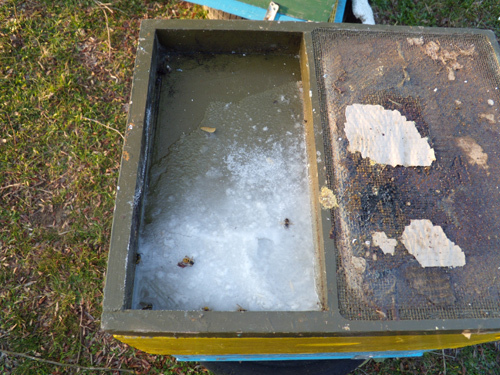 A top feeder - notice the dead yellow jackets in the frozen syrup. 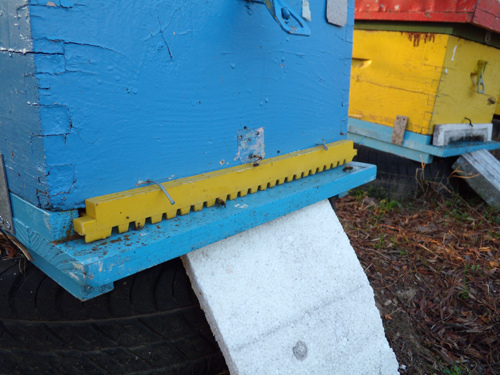 Yup - it is cold here! 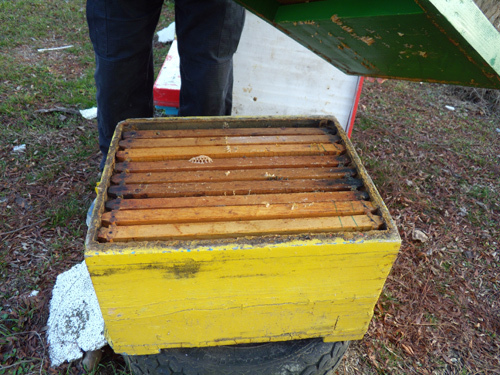 Storing hives bodies and supers over the winter - since it is so cold here they can keep these outside without having to worry about insects and pests. 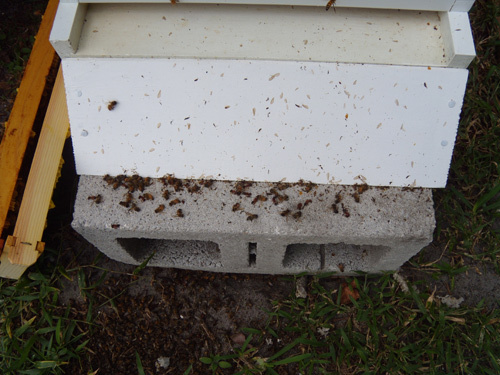 We went to check up on our hives the other day and noticed a pile of dead bees and fire ants in front of the hive. 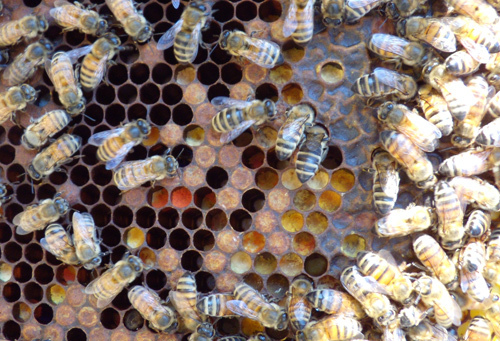 We also noticed a lot of bee wings across the front entrance of the hive too. 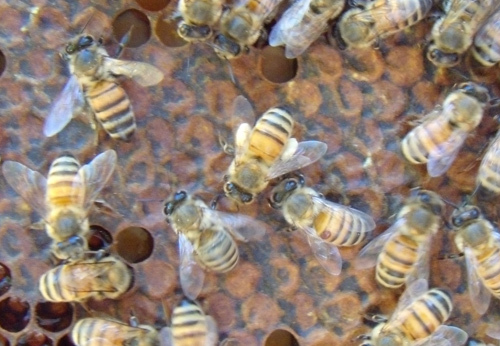 Upon opening the hive we got a good look at what was really going on. 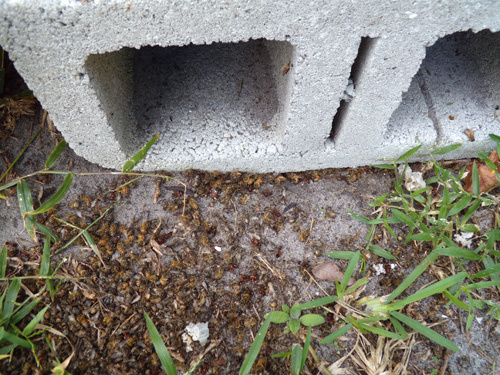 Fire ants were invading the hive and the battle was on to get rid of them. 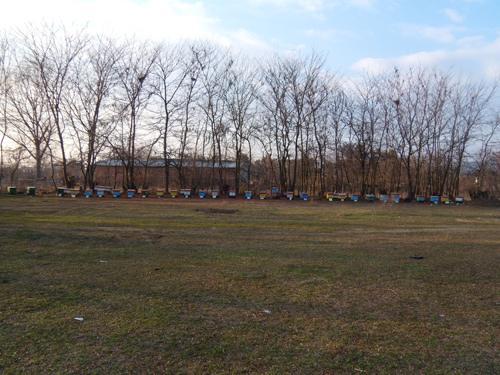 Lots of bees got injured and/or killed in the process, but it seems that everything is fine now. 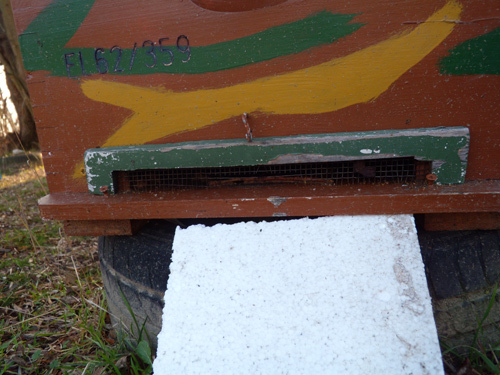 When it comes to fire ants you need to keep any eye on your hive and take any measures you can to eliminate the threat. 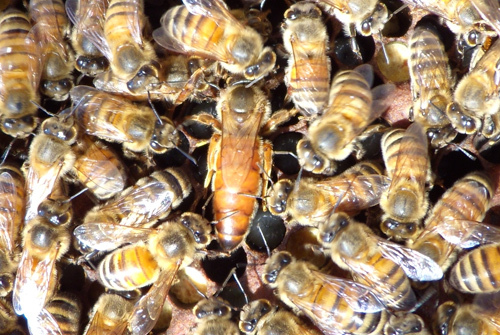 Fire ants can destroy a bee colony if they are not strong enough.